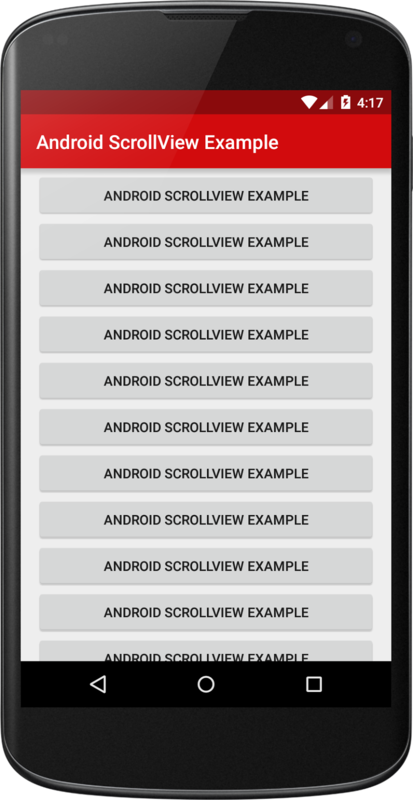 In this tutorial, you will learn to use Android ScrollView component in application. ScrollView is a different kind of layout than LinearLayout, RelativeLayout, etc. which is designed to view larger than its actual size. If the views inside ScrollView are more than the views that can be hold/contained within ScrollView then a scrollbar is automatically added. After creating the project, open the activity_maiinn.xml file of your application from res/layout directory and replace the content with the content given below. Now, run your ScrollView application and scroll down the screen. It will look exactly like the output given below.